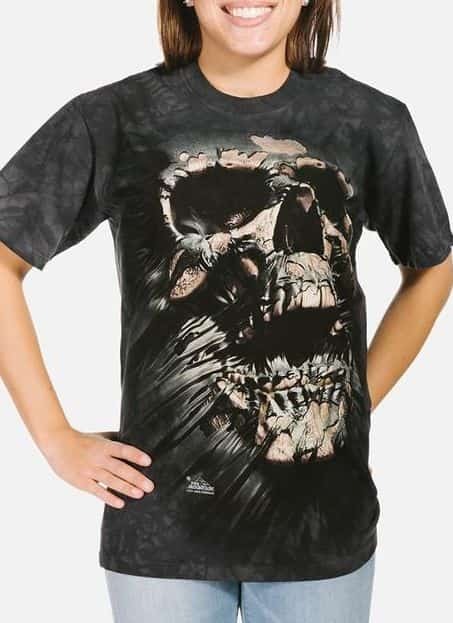 Dead Men T-shirt is a fantasy design by UK artist David Penfound for The Mountain®. 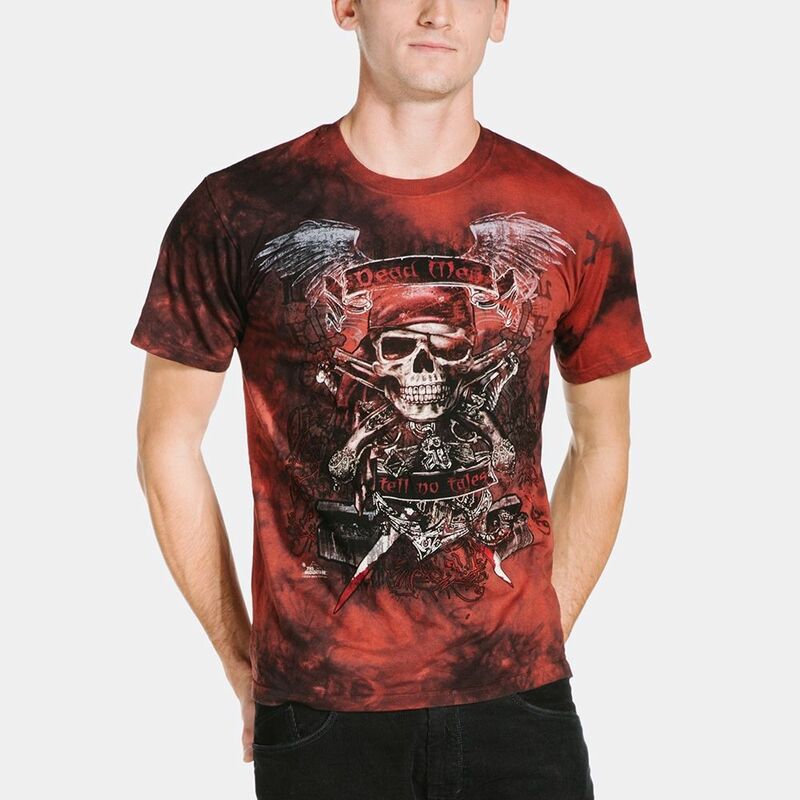 Love pirates? Shiver me timbers! 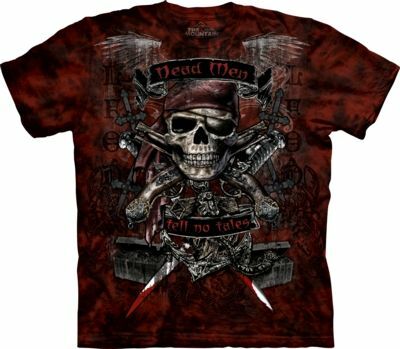 This screen printed image is a skull and cross bones with a banner that reads "Dead Men tell no tales" .